We're looking forward to seeing you at Needle Falls. You'll be part of a small group of people who have the first chance to listen to and purchase my new record, 'False River'! Both CDs and Vinyl will be on hand. We'll also have food, beer, and cocktails for your enjoyment. See below for all the details including the super secret location. 7:00 PM: Free food and beverage served, and event open! I'd recommend using Google Maps as I've heard about mixed results with navigation from other platforms. If you know where the dog park in City Park is, we're not far down that same street. 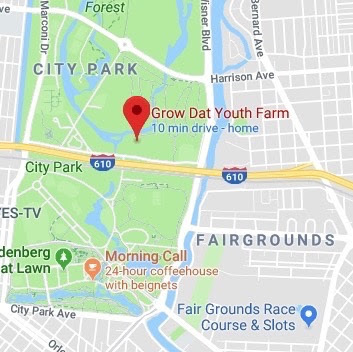 We'll be sure to light up the Grow Dat sign so you can't miss us. Follow the lights to the pow wow! No need to bring $$ for a ticket! This is a FREE event. If you RSVP'd — great! And thank you. You helped us with our headcount. If you're coming from the Fest and have 'em, bring 'em! We'll have some folding chairs on hand if not. If you don't choose to Uber or Taxi, parking is available. If you're enjoying adult beverages, please designate a driver or take an Uber/taxi. We'll provide free beer and cocktails (while supplies last) ! But if vino or something else is your potion, feel free to BYOB. 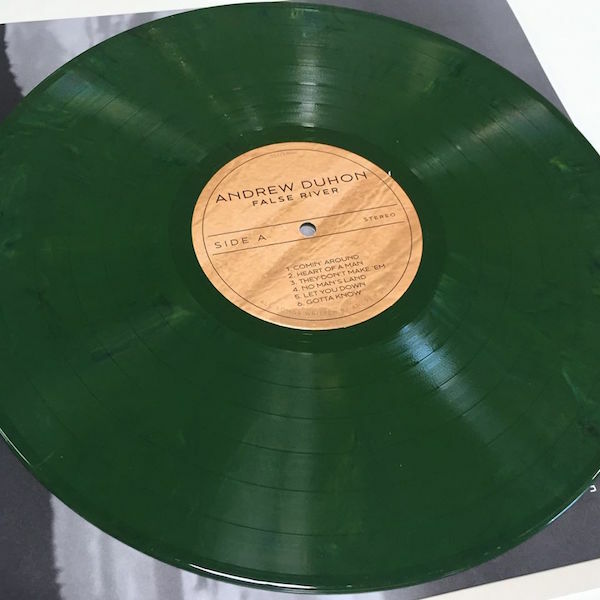 A limited edition evergreen vinyl of the new record will be available for the first time, where else? Out in the woods! Since you're coming to Needle Falls, you'll have a shot at snaggin' one. Be on the lookout! Shoutout to Dan & Remi at New Orleans Record Press for doing a great job on these. 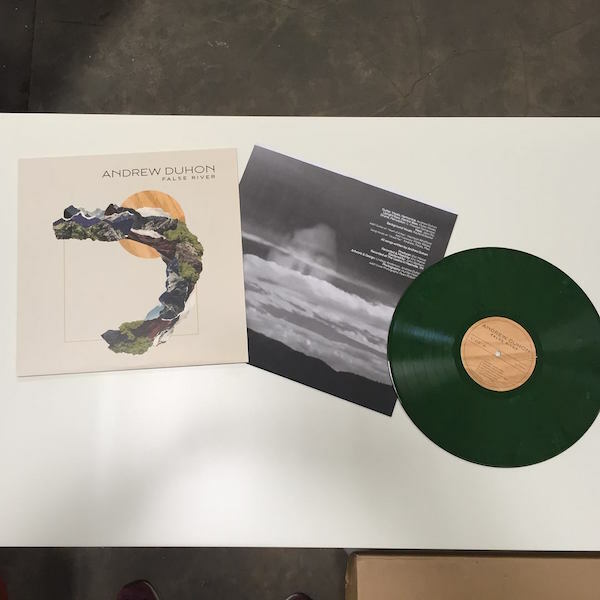 Feel free to drop us a line at booking@andrewduhon.com if you have any questions.